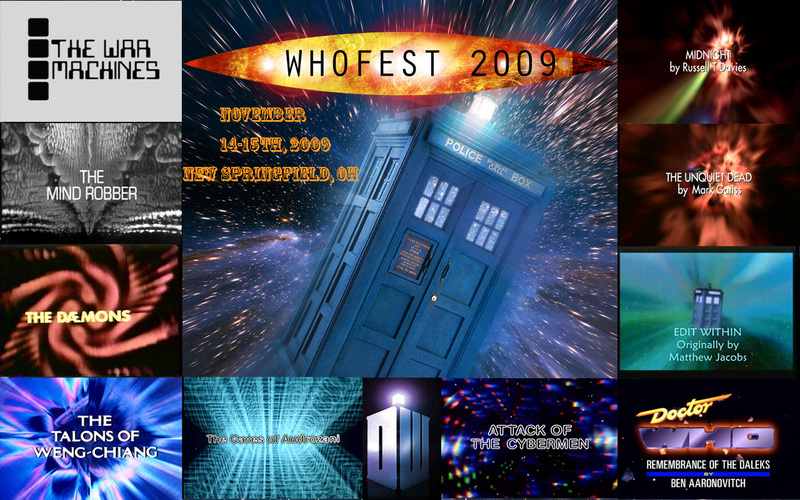 What it is: Every year, a bunch of us get together as close to November 23rd as our schedules will allow and hold a Doctor Who marathon. 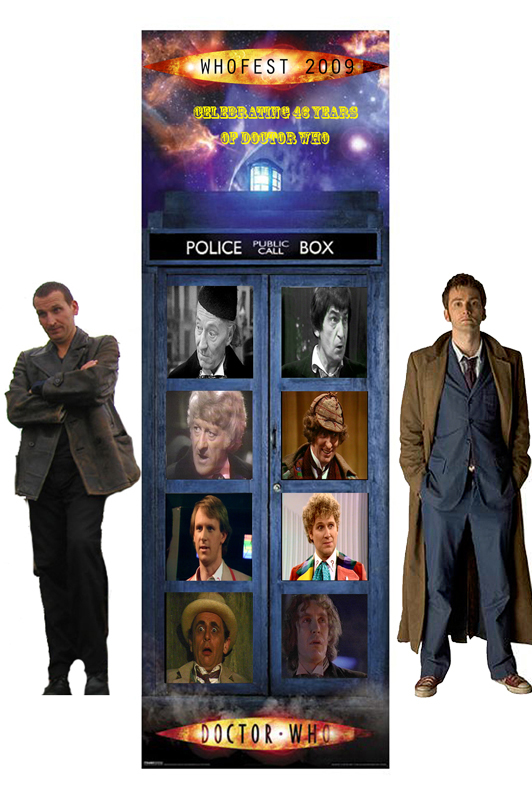 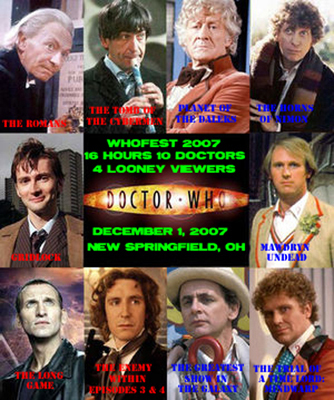 We watch one story from each Doctor, all while indulging in too much pizza, Twinkies, Cherry Pepsi and Jelly Babies. 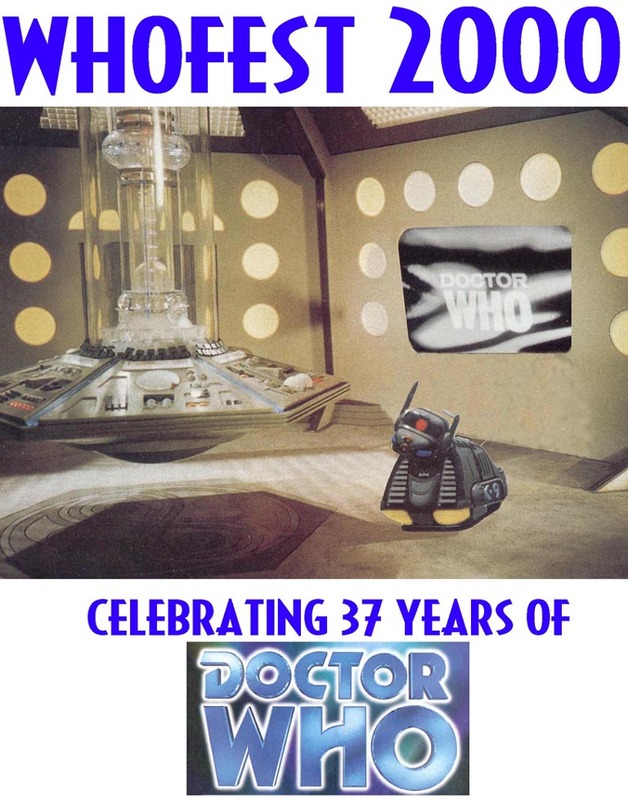 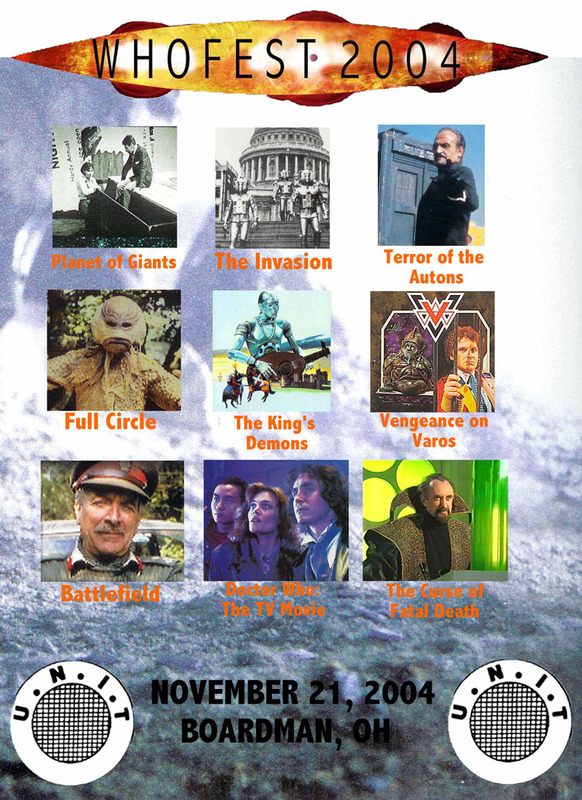 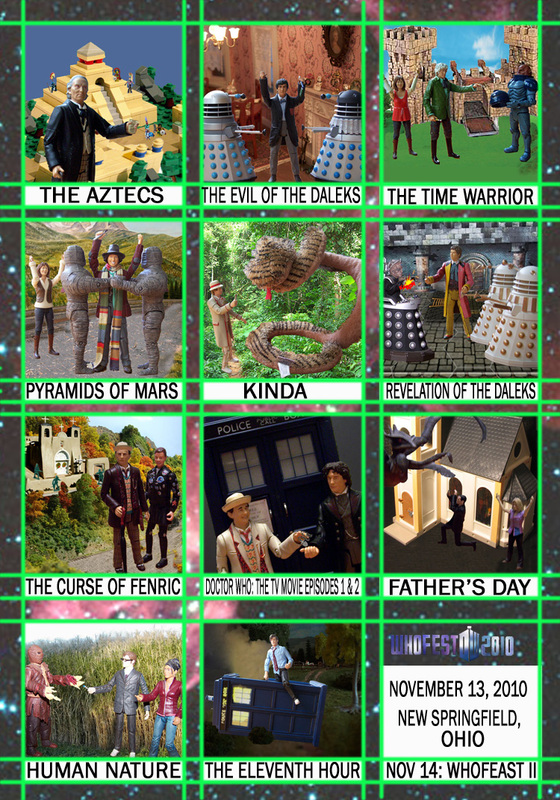 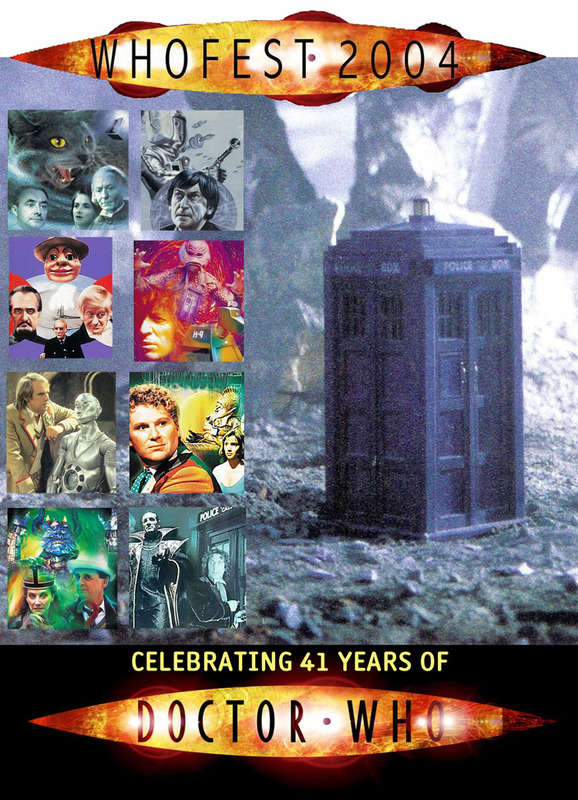 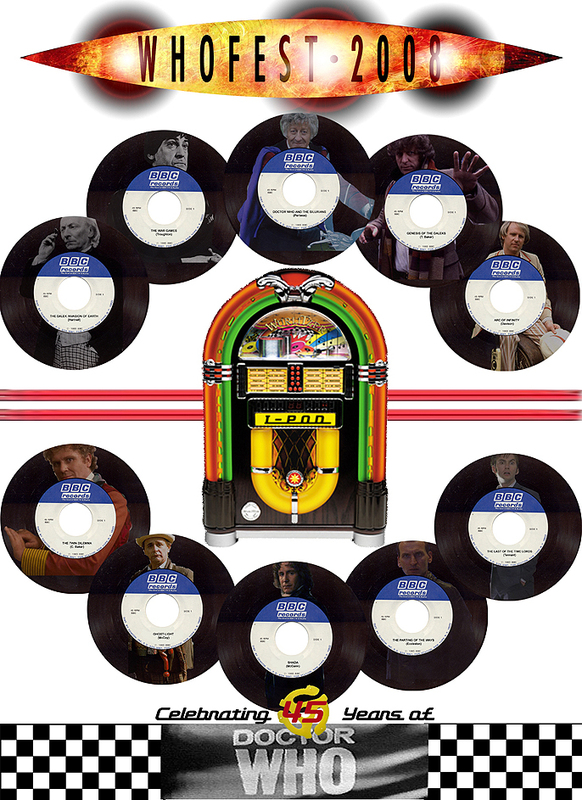 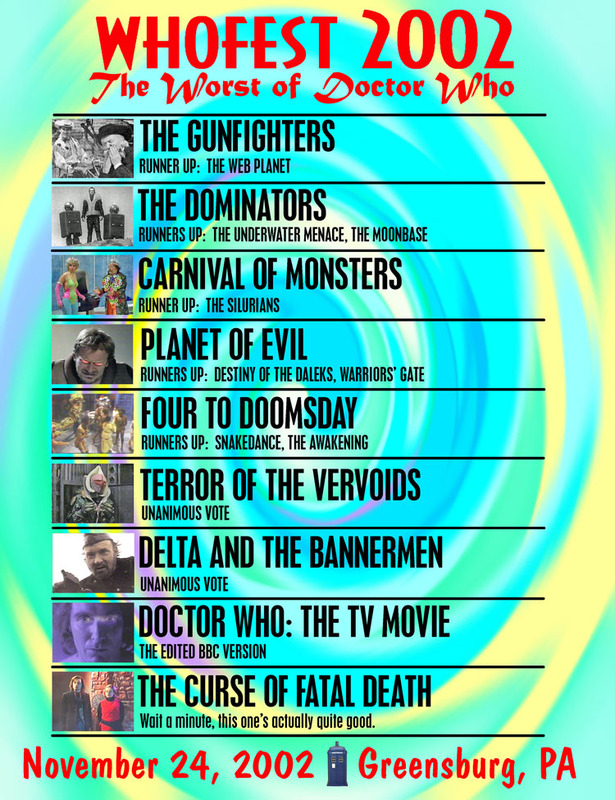 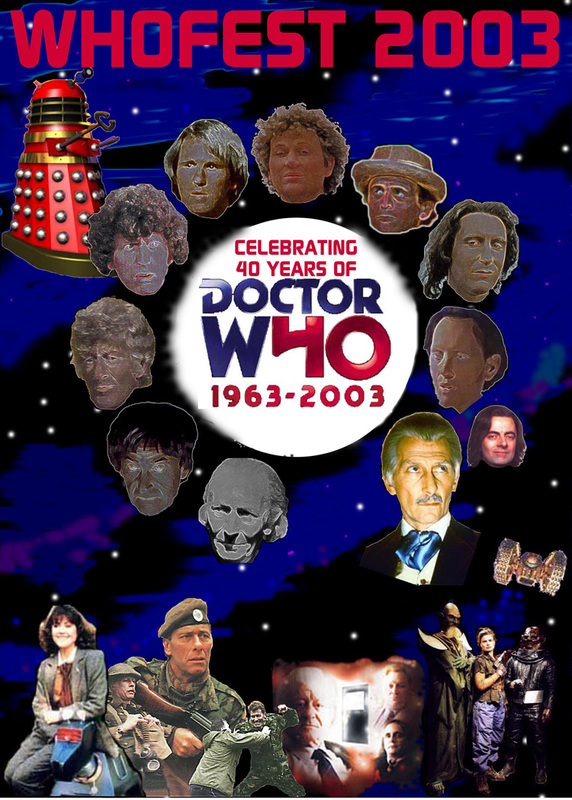 How we pick 'em: This year, we went with Doctor Who Magazine's rating system of all (at the time) 200 Doctor Who stories. 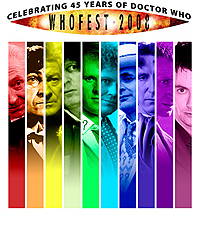 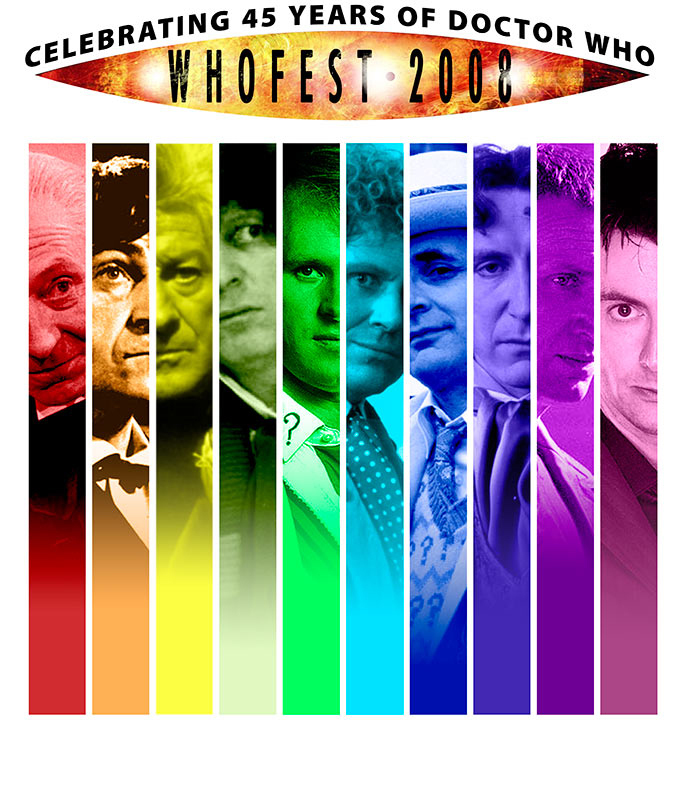 Skipping any stories we've previously watched in Whofest, we went with the highest ranking stories for each Doctor. 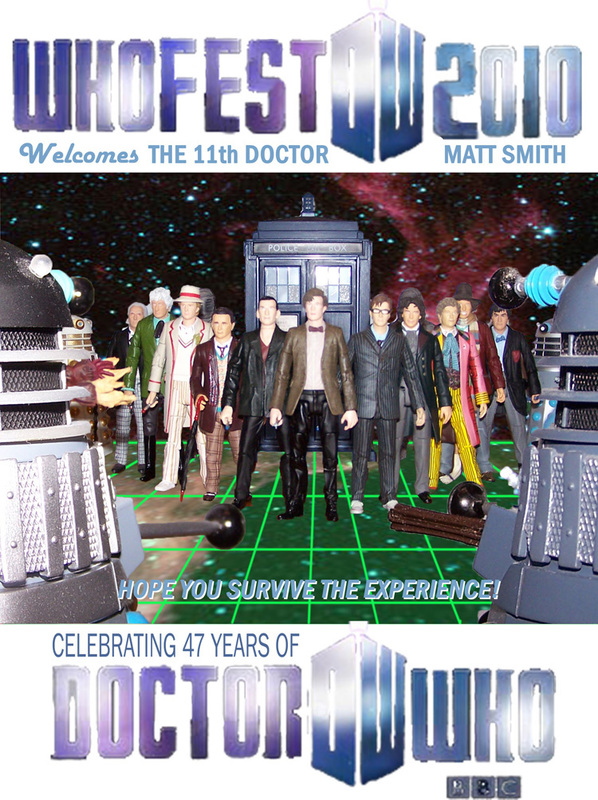 For the 11th Doctor, we voted amongst ourselves. 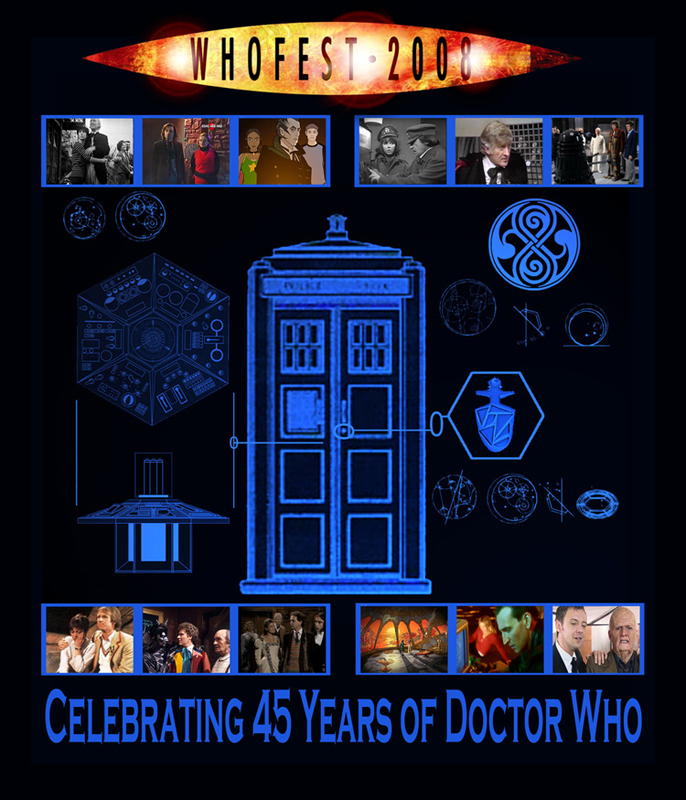 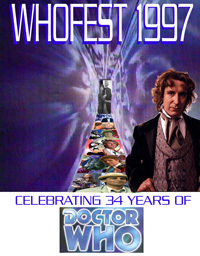 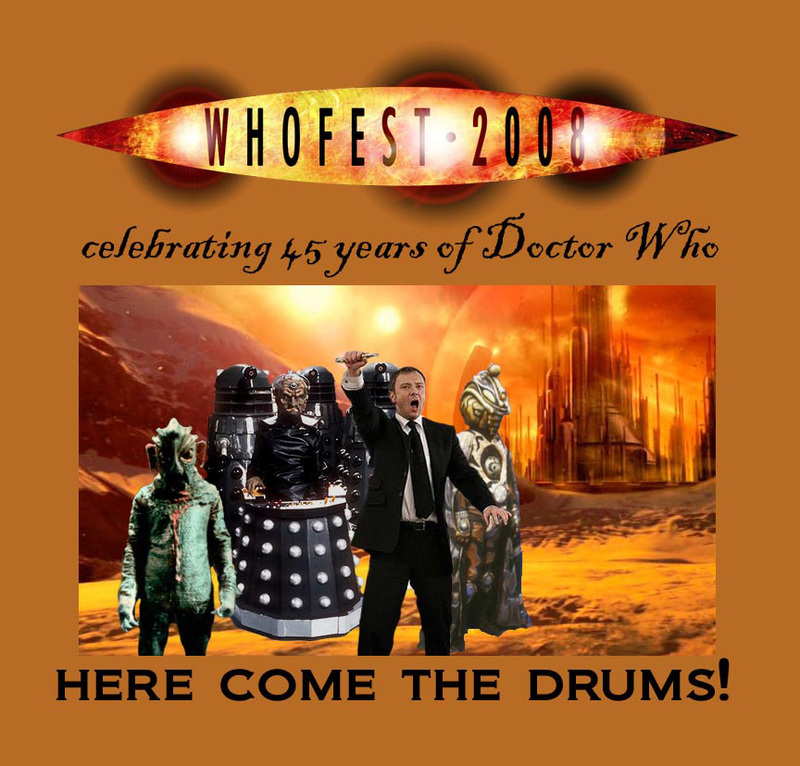 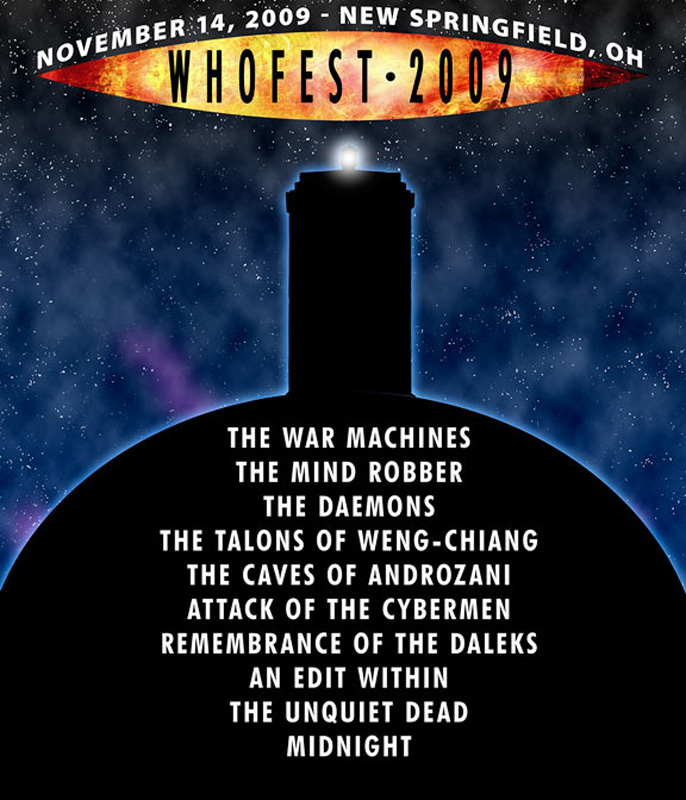 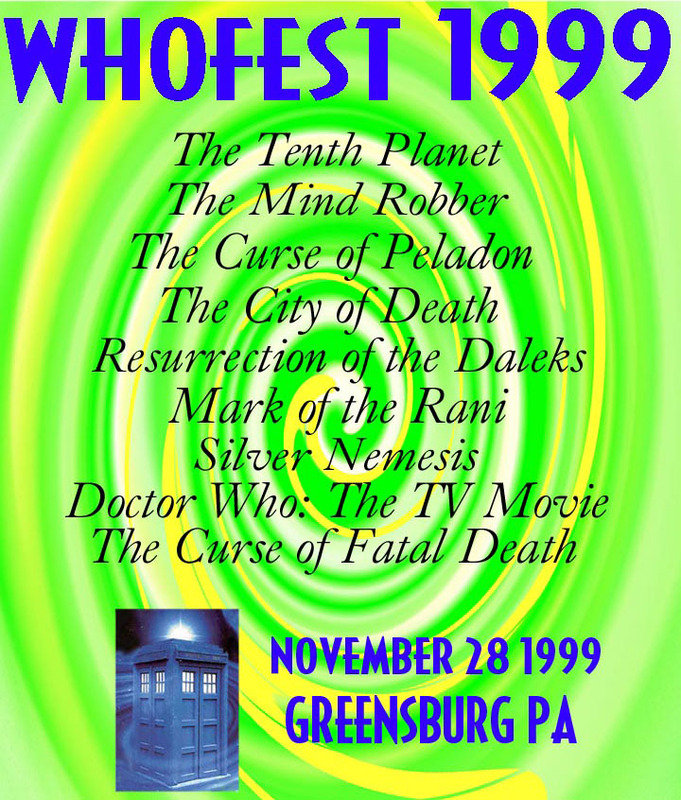 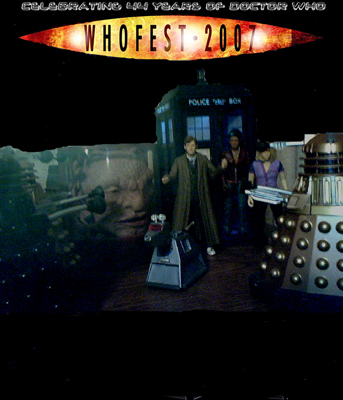 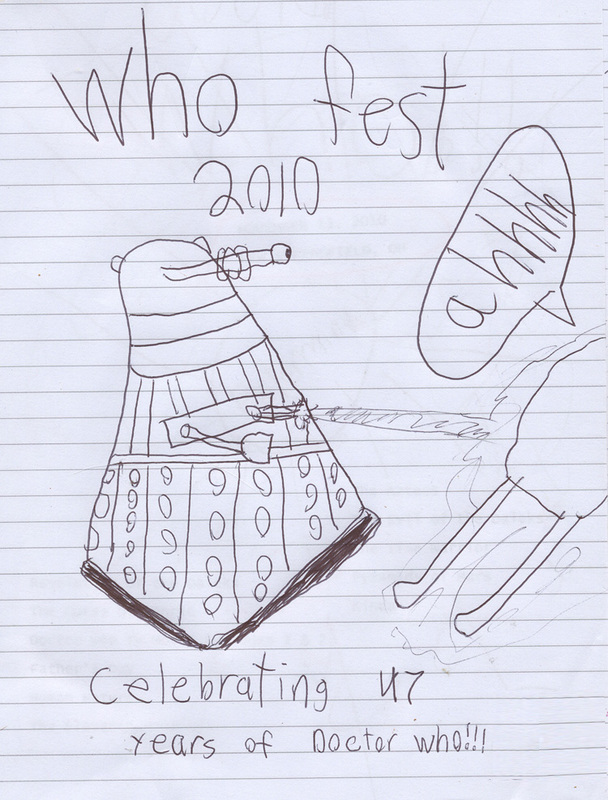 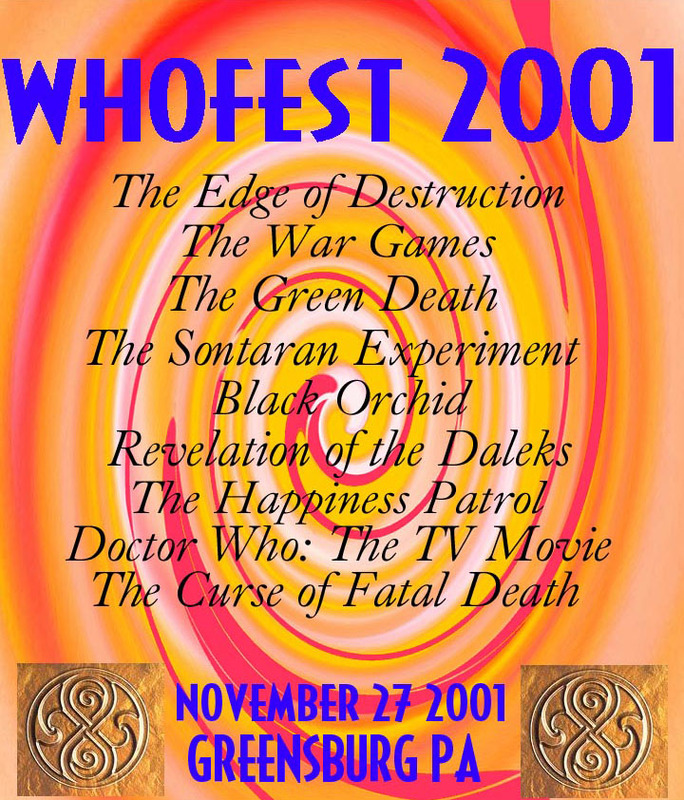 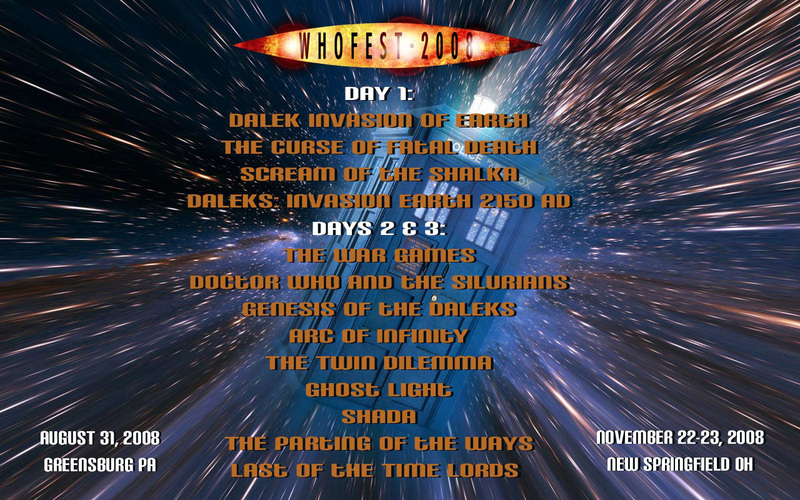 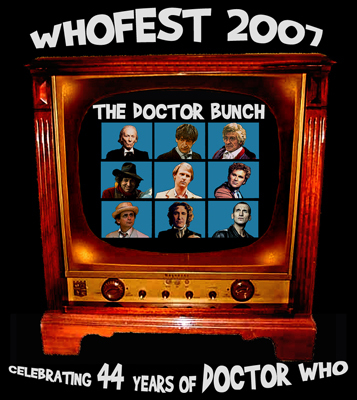 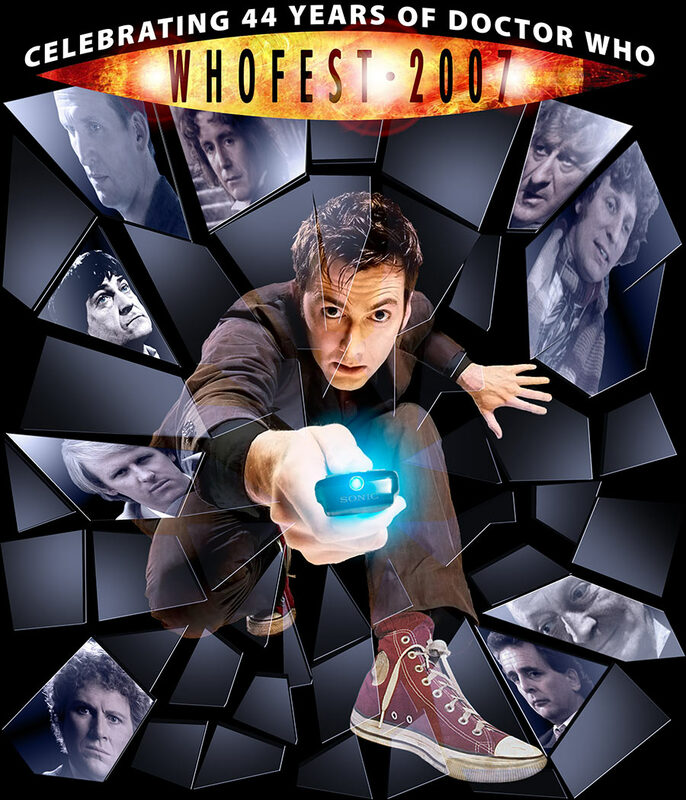 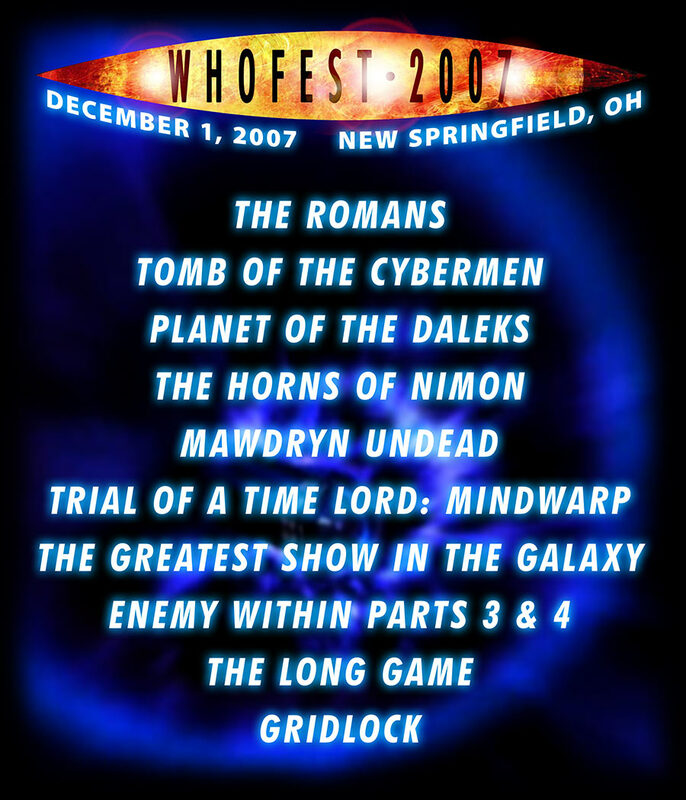 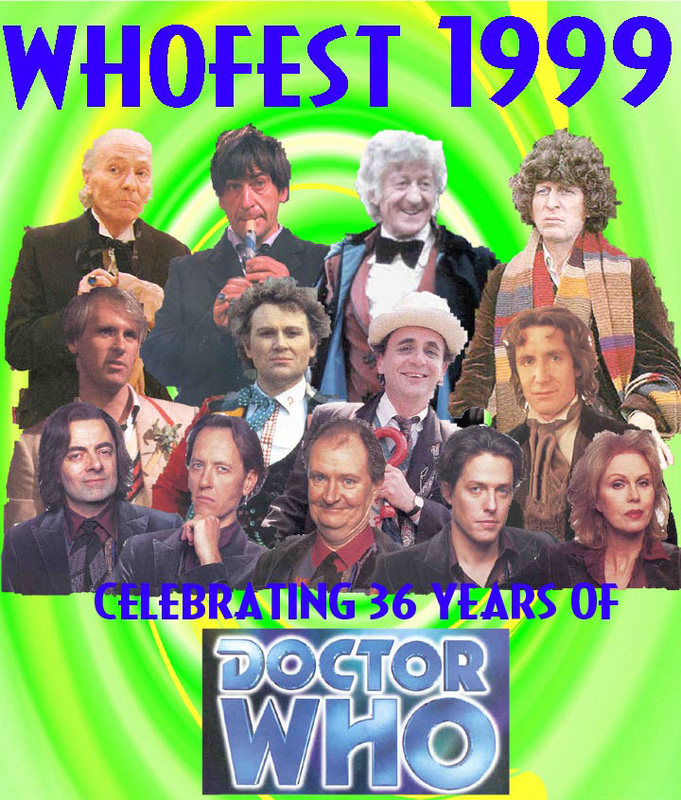 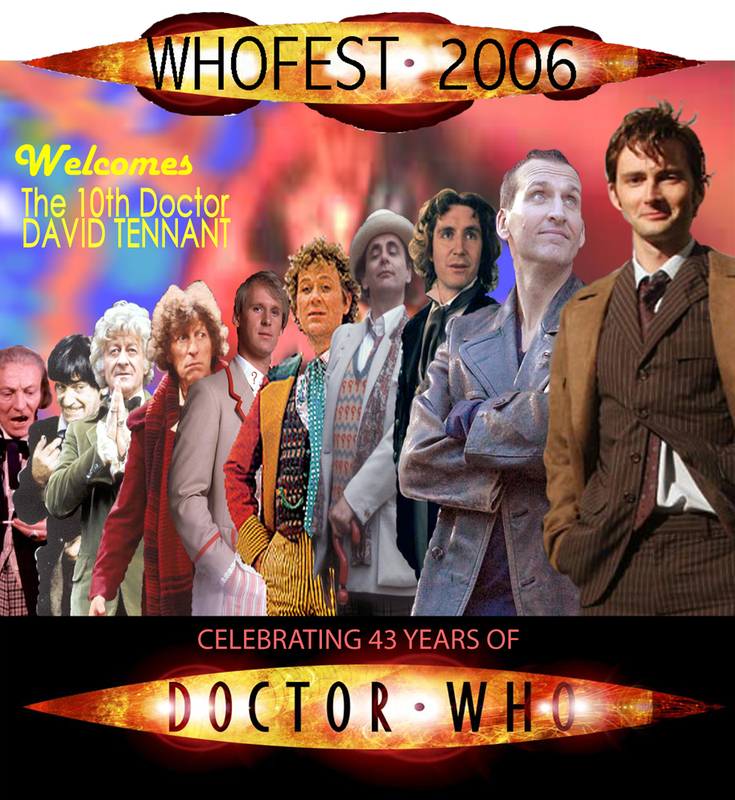 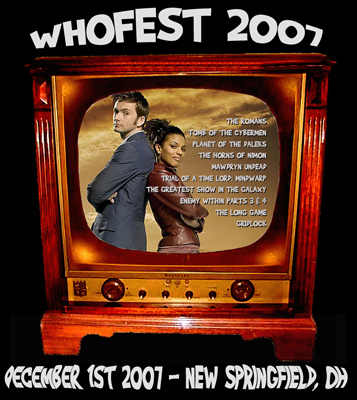 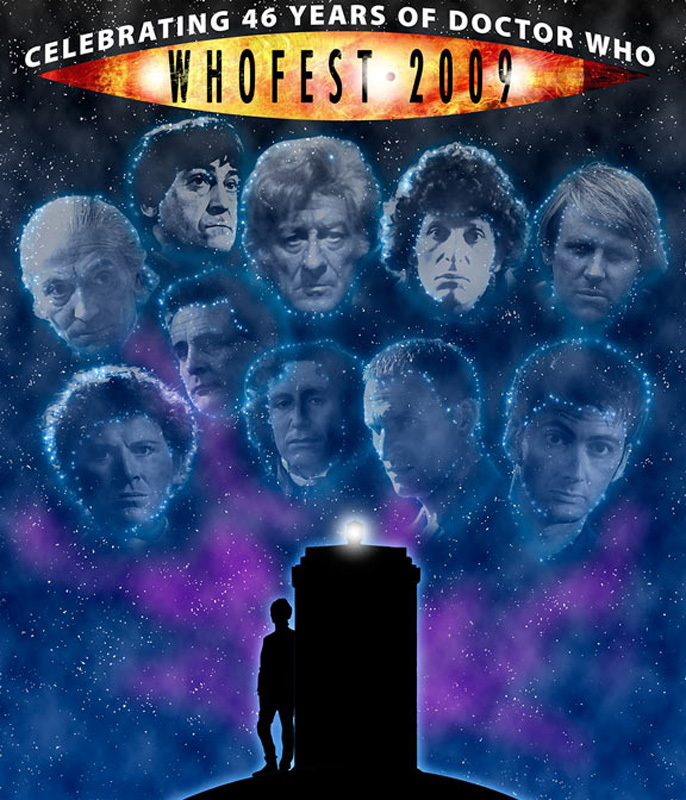 This year WhoFest will be on December 15, 2012. 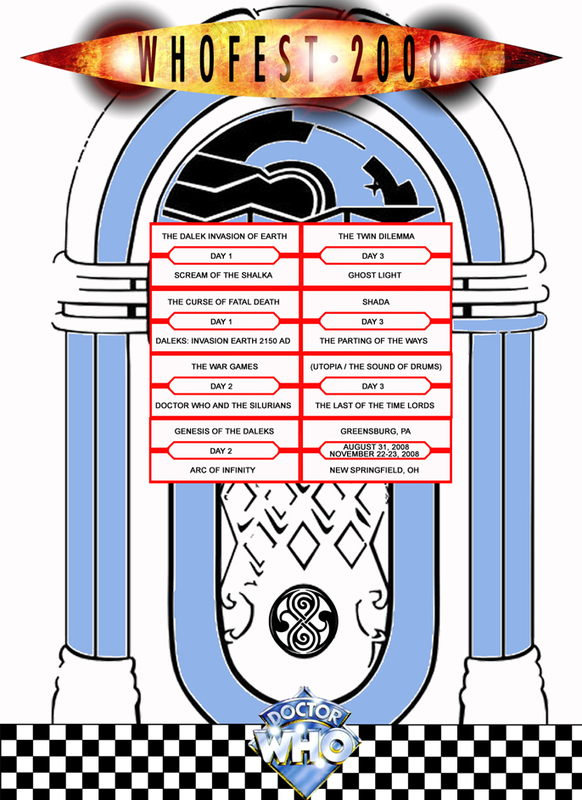 Bonus - P.R.O.B.E. 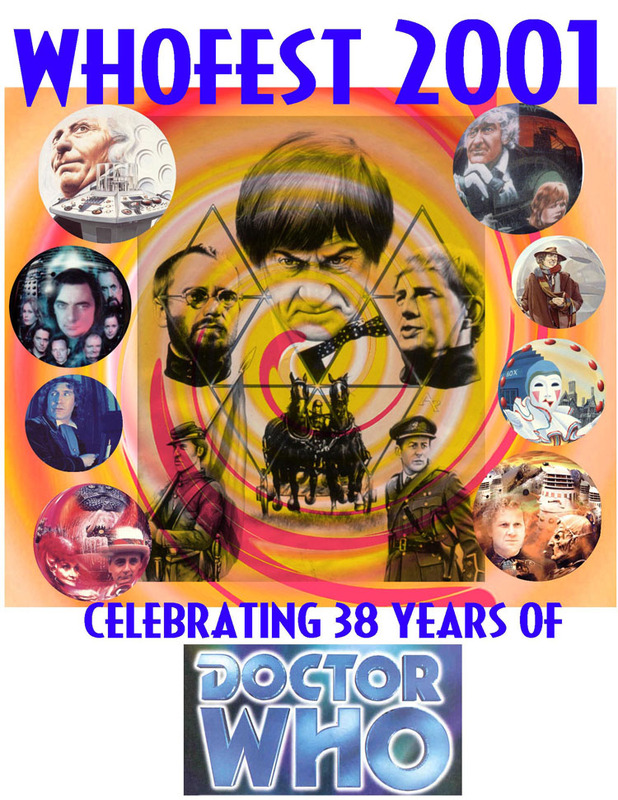 : The Devil of Winterborne for Caroline John. 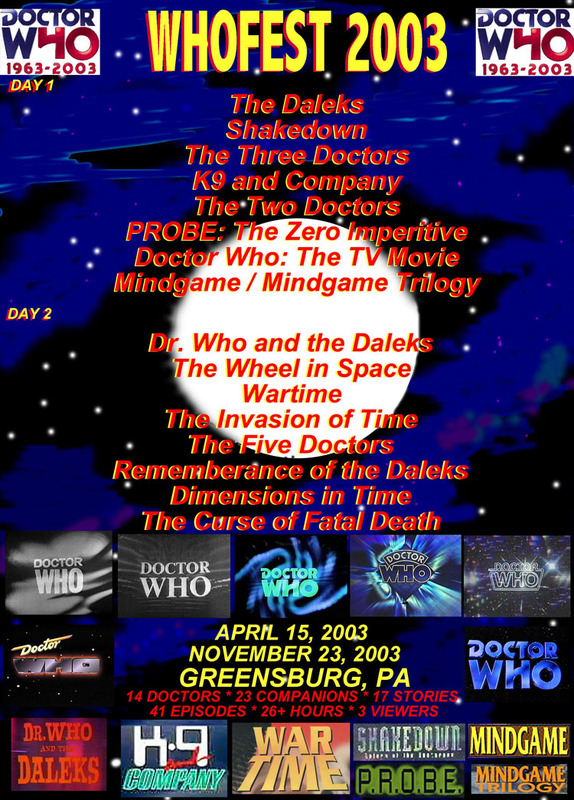 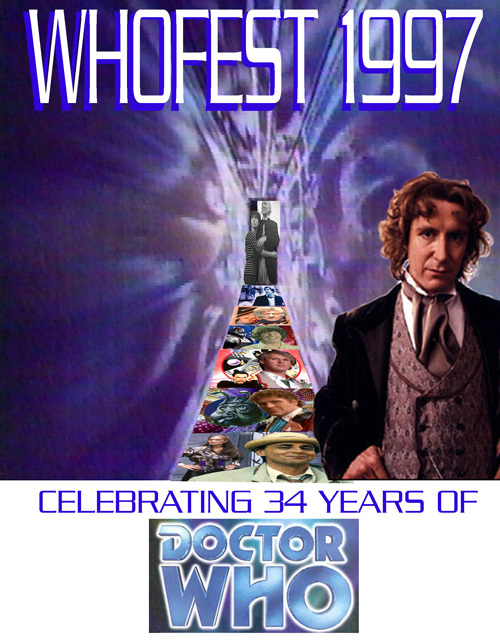 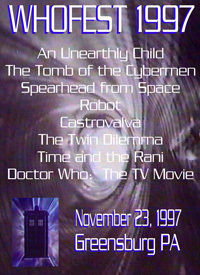 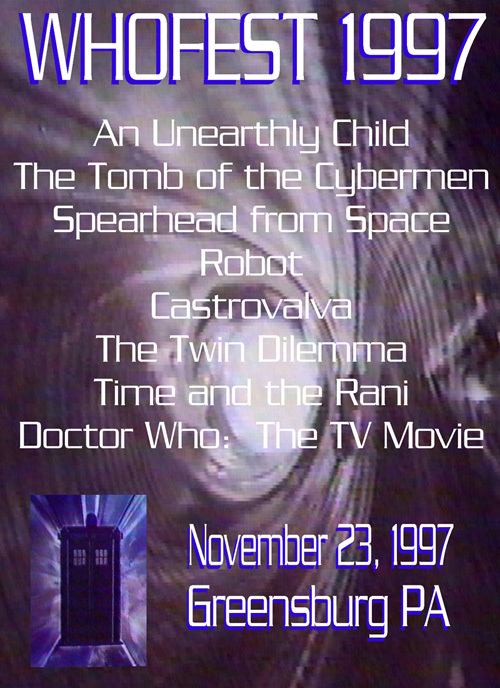 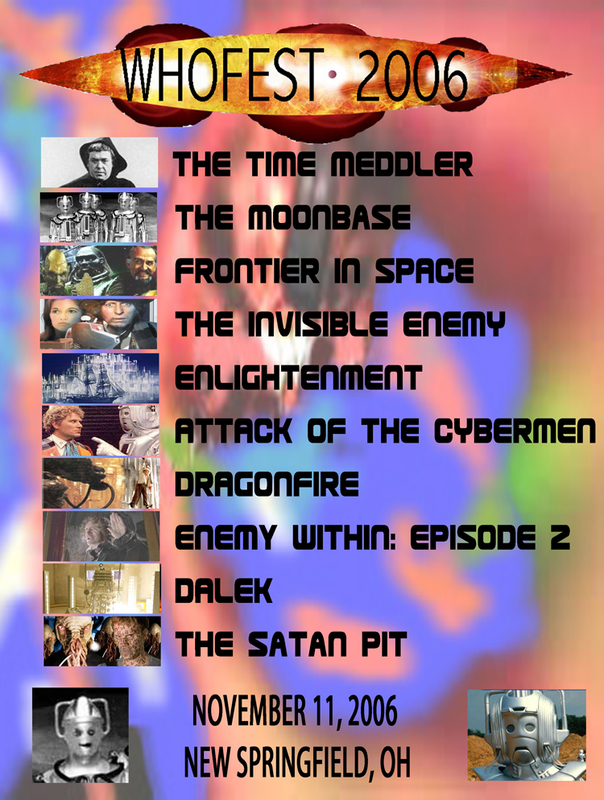 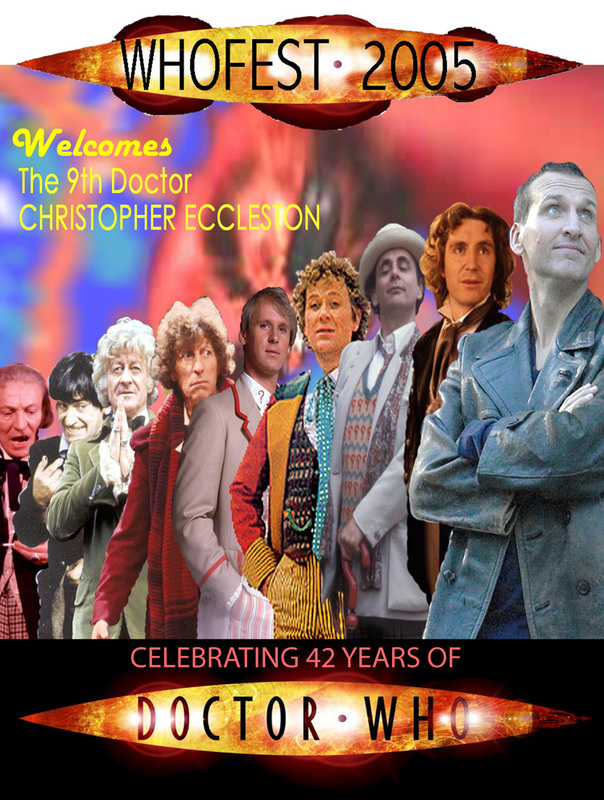 * In an effort to keep the marathon running time down to a mere 17 hours, we've edited the 8th Doctor's only story (on film, at least) into four episodes, and then we watch it in installments over several years. 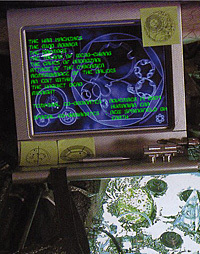 This also helps keep us from getting burnt out on his only story. 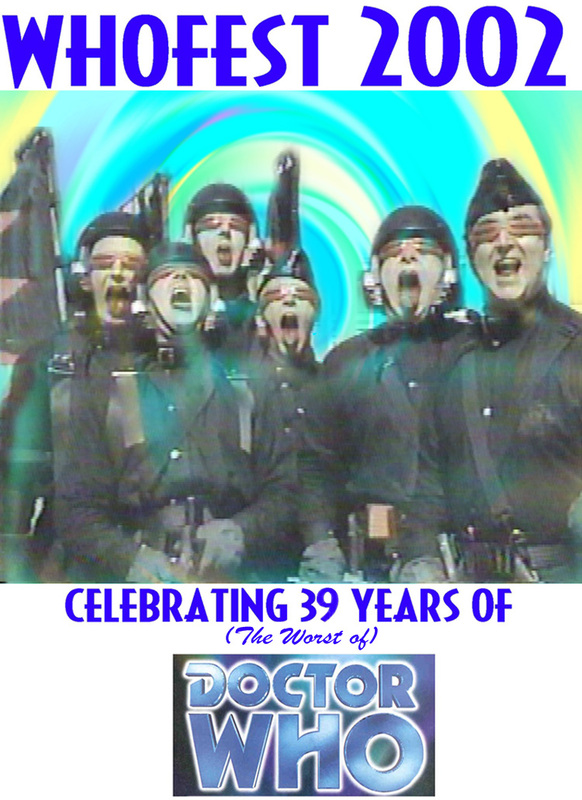 Why we do it: We're crazed fans. 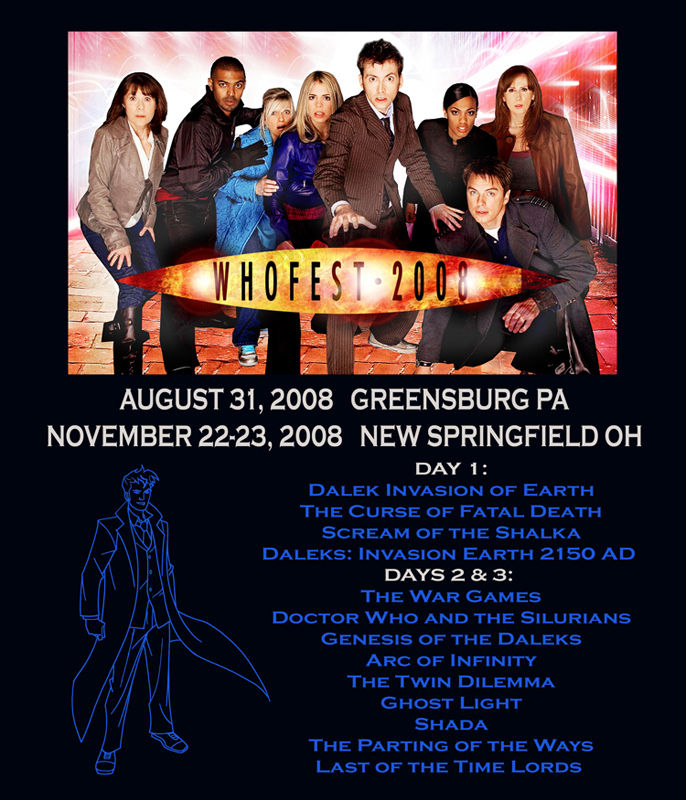 We even make our own t-shirts for the event every year. 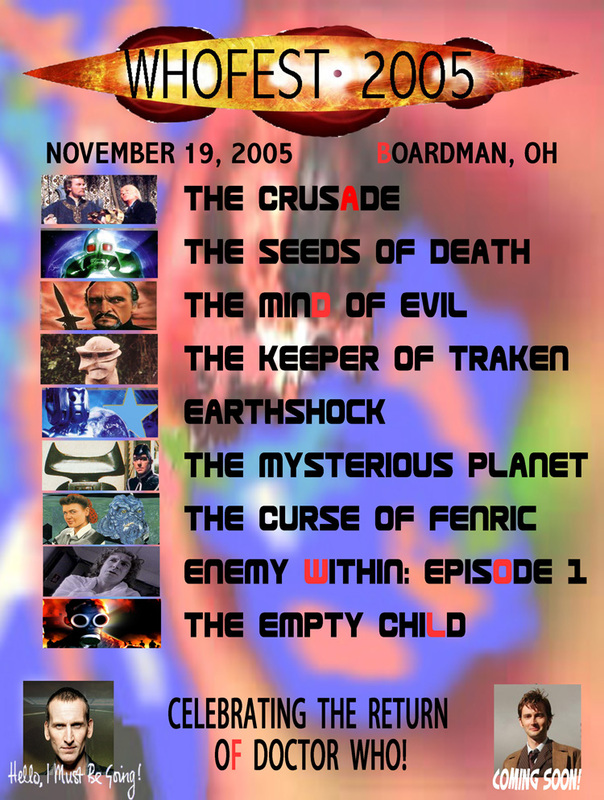 Check 'em out below. 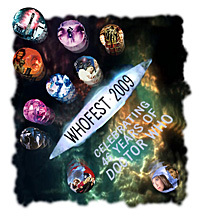 Additional Whofest Photos, including us in our shirts, can be found by clicking on this link! 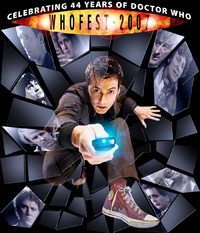 "The Worst of Doctor Who"